Learn how to optimize and automate your sales process - get a free consultation. Do you have a scalable, repeatable lead generation process? Schedule a free sales process consultation with us to learn how to optimize and automate your sales process. We will work with you to identify how you can use a multi-channel sales machine to meet the unique needs of your prospects and customers. 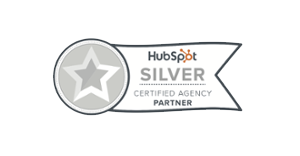 After your consultation, we will set you up with the free HubSpot CRM and give you a custom website to analyze your website for marketing effectiveness.